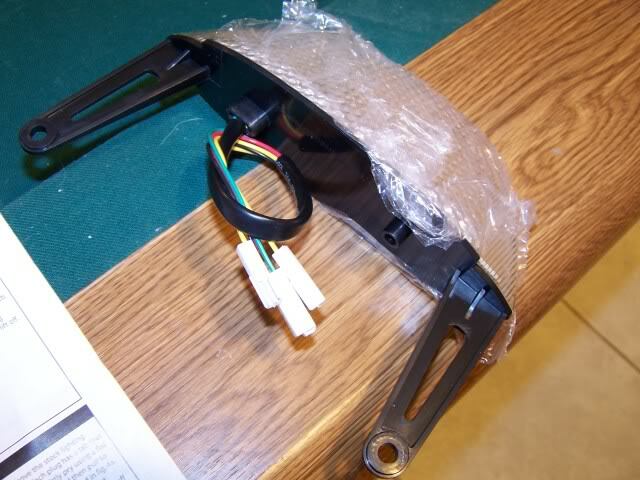 From what I read, TST's IT is made specifically for the 07-10 model, not only that, it was a direct plug and play, no splicing or cutting if you didn't want to. Also, it is really bright according to a lot of people. 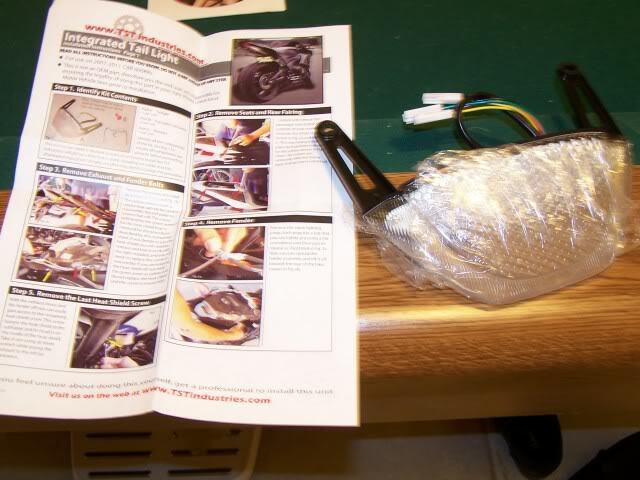 Definitely, this is a great product, the instructions were very simple, I never worked on a bike before, and I am not mechanically inclined when it comes to cars, but the instructions were easy to follow. The product itself is great, I love how it looks, everything was easy, was plug and play. The load resistors were a little bit, i tried them on, but did not like how the flash rate was, which was normal, I felt that having the rapid flash rate would make you more noticeable, yet annoying looking. The light is very close to the exhaust shield, might even be touching it, but i don't think it is a problem since thats what the shield is for, if I did not reuse the heat shield, i think it would be fine, but I plan to get a leo vince S/O before the season starts anyways. It is a stock exhaust, so your results might vary. The exhaust does not get that hot. 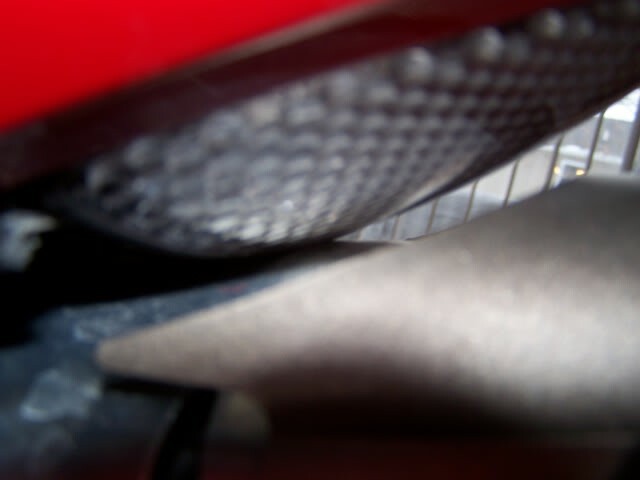 What happens with the heat shield on is that the heat released from the exhaust can collects under the shield and then empties in the back right around the lilght. We have seen this cause the light to melt on some bikes. And in the end if you get an aftermarket exhaust you will be taking off the shield anyway. I would definitely recommend it, its not that expensive, very easy, everything fit great, its super bright, I love it. Not only that, shipping was really fast, granted, they are on the east coast, but actually sending it out was real fast. I would definitely buy again, its a quality product from a great company. They hooked me up and answered any and all of my questions. The product is top notch and so is the customer service! I don't have any pictures installed, just a quick video of the light working. I apologize for the quality of it, I have a very crappy and old camera. Here is the actual package, very small, a cd for comparison. 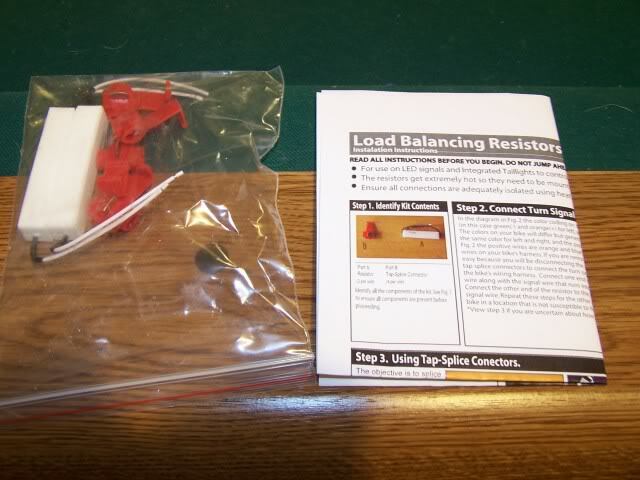 Everything nicely wrapped and organized, it comes with the IT, load resistors, instructions to install the IT, separate instructions to install the load resistors, and taps for the resistors. Here is an updated video. I used a better camera this time and did it in the daytime, still indoors but had more light in. I also added a brake modulator though.